The second half of this series will apply what you’ve learned in Part One about internal work to a variety of forms. Master Liao reminds you to integrate the five ingredients of moving meditation to get the most energy from your practice. The second half of this series will use what you’ve learned in Part One about internal work and apply it in a variety of Taichi practices: making contact with others or the universal energy that surrounds you, how to create an effective meditation session for yourself, moving through advanced Taichi forms with a higher degree of meditative awareness and energy, and a special form of group circle meditation to super-charge your Chi awareness. At every juncture, Master Liao will remind you to integrate the five ingredients of moving meditation to be sure you are on the right track and getting the most energy from your practice session. Sensing your own energy is step one. After you can feel your own Chi, you can use your awareness to sense and work with the energy outside of you and surrounding you, or the energy of another person. 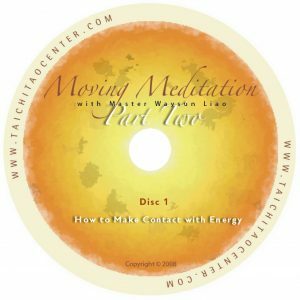 On this disc, Master leads you through an important drill of Hands Attaching practice in which you will practice connecting with the outside energy of the universe. You’ll learn how to know if your contact is successful, and how to start over if the contact you make is empty. 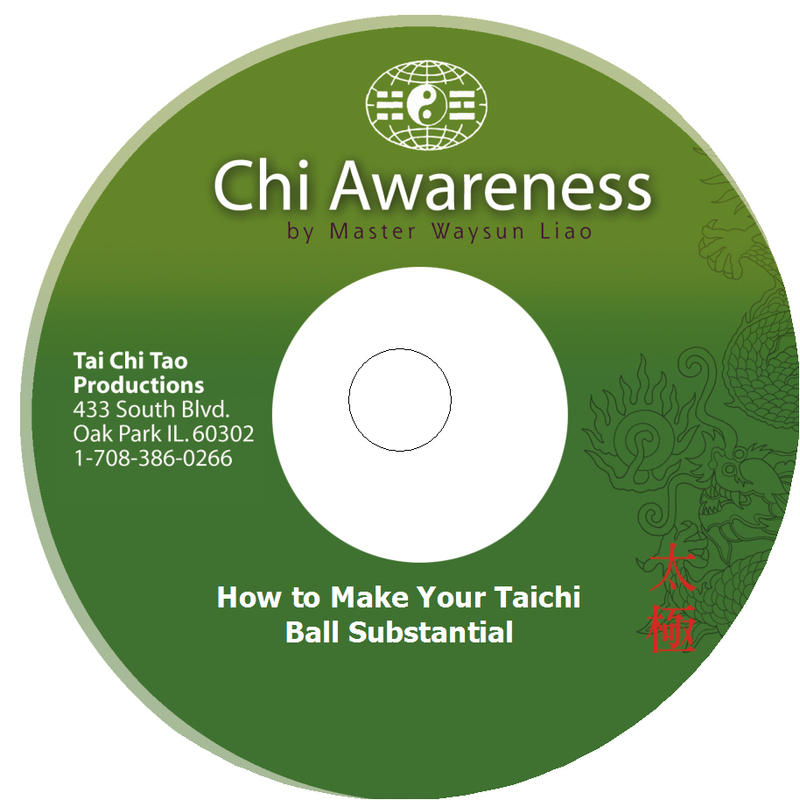 An important DVD for those working toward applications of Taichi in martial arts or healing. 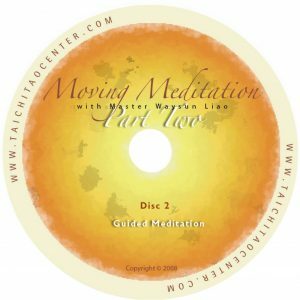 This DVD is perhaps the best “follow along” meditation session in our collection. Spend an hour with Master in deep intensive “charge-up” meditation practice. You’ll work with the power of nine repetitions, just as they did in the temples of old. Meditating along with Master Liao you’ll learn how to expand your energy field to pull in the power of sky and heaven energy. 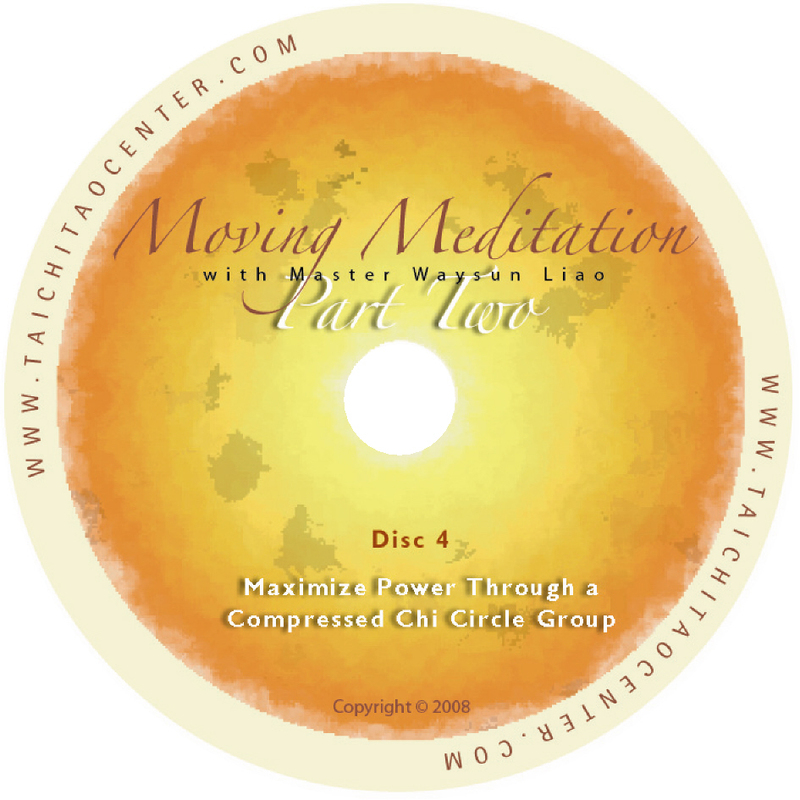 Through every phase of the meditation session, Master Liao will guide you in how to harmonize your breathing with your feeling and motion for best results. This is a DVD you will want to replay again and again, any time you wish to have a deep, powerful and re-energizing meditation session. A true Taichi master never loses her Taichi Ball no matter what form she does! On this DVD, Master Liao will show you how Taichi Ball shows up in many different forms, and how to tap into the power of a single Taichi Ball, or a split Taichi Ball in several key postures. Periodically, Master Liao will challenge you, “Where’s your Taichi Ball?” Did you keep that feeling? Or did you lose it? Walk step-by-step through the powerful Single Whip and Split postures, and see why remembering your Taichi Ball gives these two forms many dimensions and many possibilities. When several people apply their meditation and focus their energy into the center of a smaller compressed group circle, each individual’s energy awareness expands and multiplies. Watch or follow as Master guides a group of individuals through this powerful “Chi oven” practice. 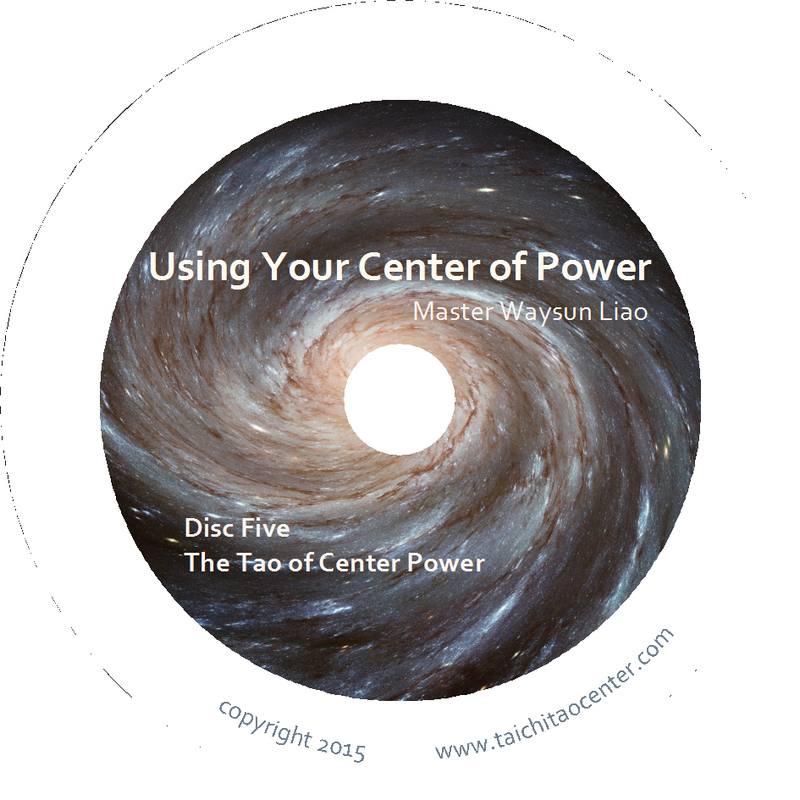 Follow up with an inspirational talk from Master Liao on the many benefits you can expect from your energy work.